Review: Following an impressive, low-key cassette release on Kitty Play in 2016, Amsterdam-based artist Aan Zee makes the leap to vinyl with this appearance on Pleasure Wave, a label which has already made some waves with releases from g-Marie, Jonny 5 and Miskotom. 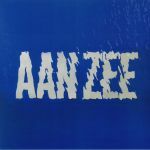 The Aan Zee sound is a lot to digest, spanning all kinds of cosmic funk, sky-scraping electronics and outernational influences, often all fired off at the same time. Just sink your teeth into "Persona/Funny Berber" for a taste and you'll understand. "Vacation" is equally adventurous, with all kinds of melodic layering and instrument flexing in pursuit of an exotic new brew that doesn't shirk on the groove. 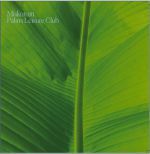 Review: Having previously melted our hearts with the fantastic Qi Xin Mian Guan EP on Pleasure Unit, Lithuanian duo Miskotom cruise up to sister label Pleasure Wave for this extended trip into exotic boogie territory, where the sound palette of 80s new age is alive and well. From the jazz funk undertones of "Hyenas Laugh" to the spiritual lilt of "Senoi," this is a record designed to make you feel at ease. "10th Day" gets slow and seductive, "Kuai Can Che" plays around with more danceable rhythms and "Kopiec" gives us the ambient palette cleanser that every great record needs at the end.